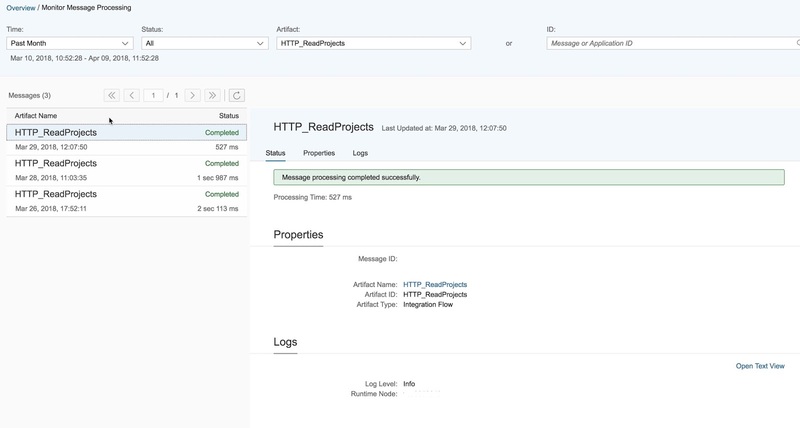 You might not want to address the API directly in S/4HANA Cloud but indirectly via a Middleware. 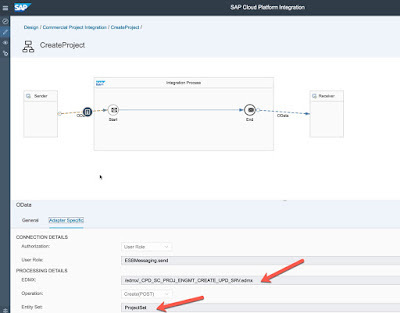 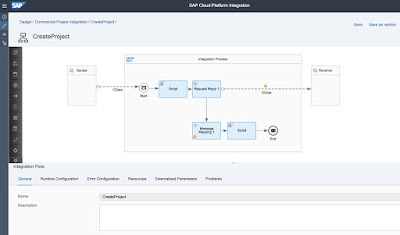 This is the use case if you plan to connect S/4HANA Cloud to another system and an extensive mapping and routing operation is required. 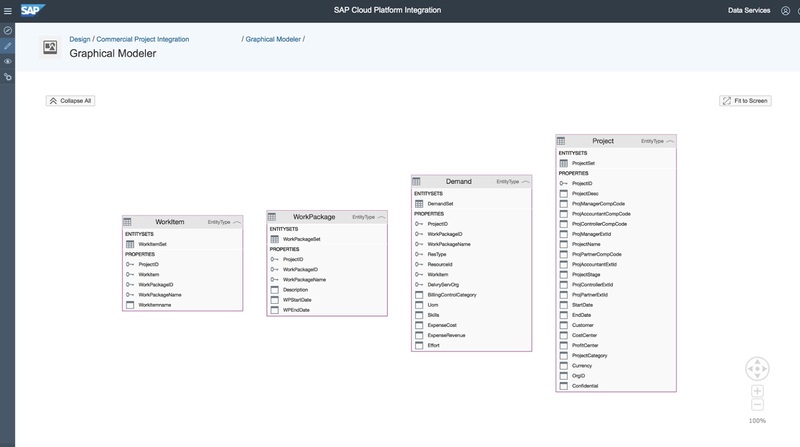 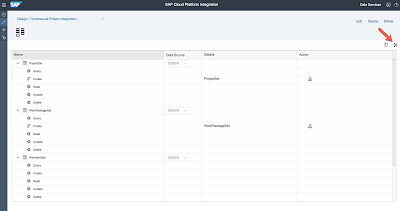 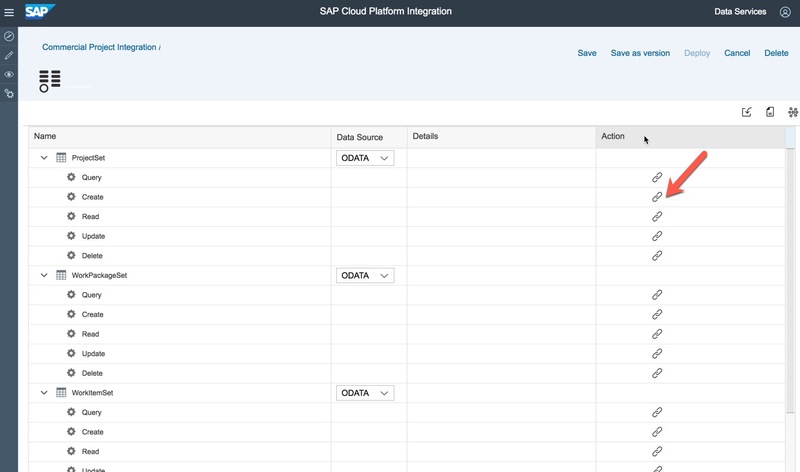 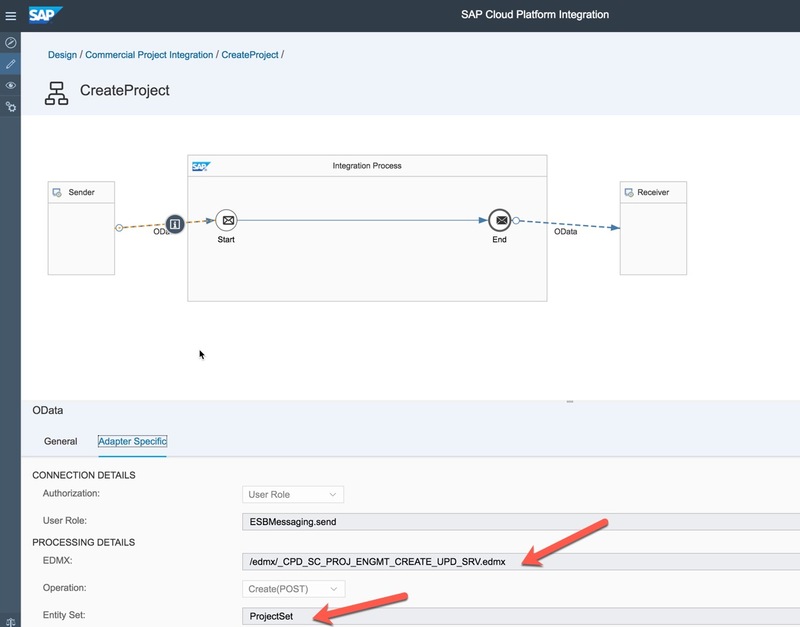 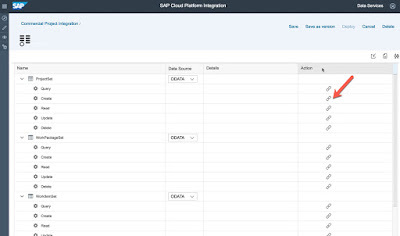 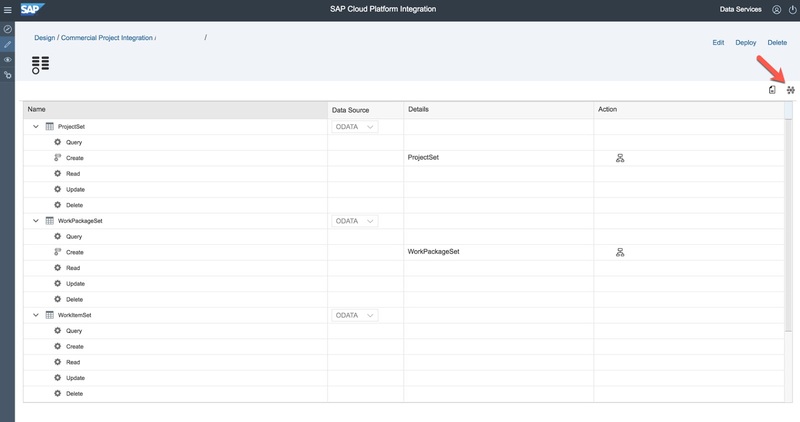 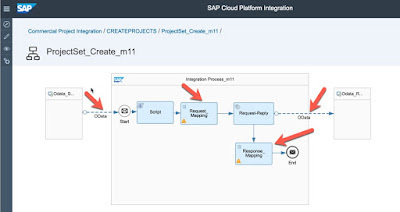 In our scenario we will use SAP Cloud Platform Integration (CPI). 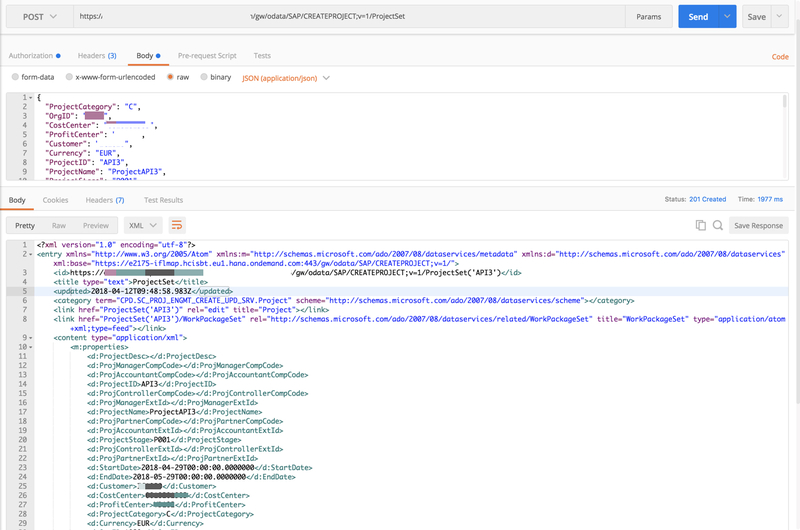 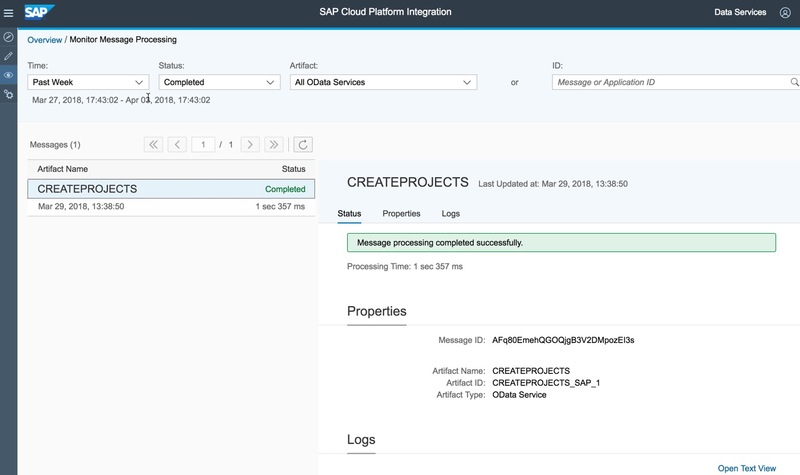 In CPI you are able to exploit an OData API, which both read and create project APIs are, as an Integration Flow or as an OData Service. 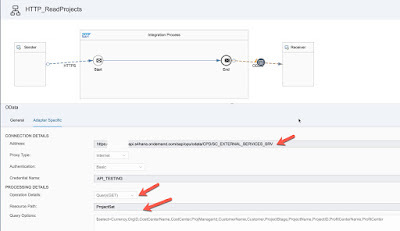 In our case we will create an OData Service, and Integration Flow with an OData sender adapter and an Integration Flow with a HTTPS sender adapter. 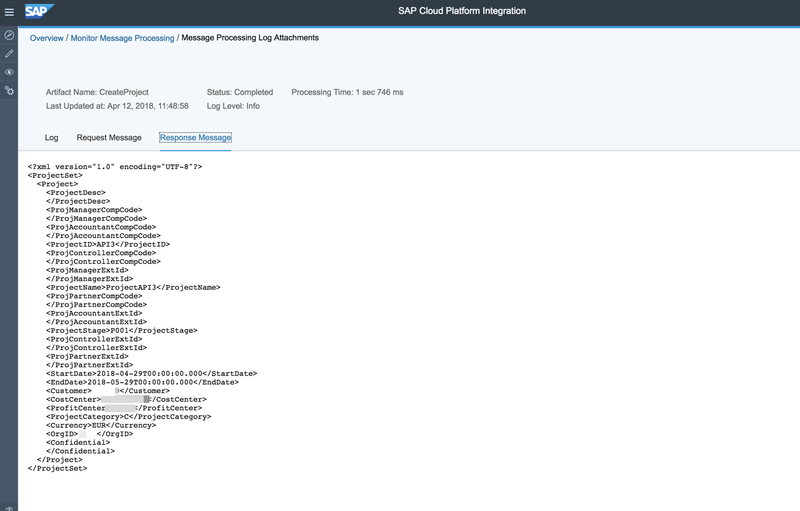 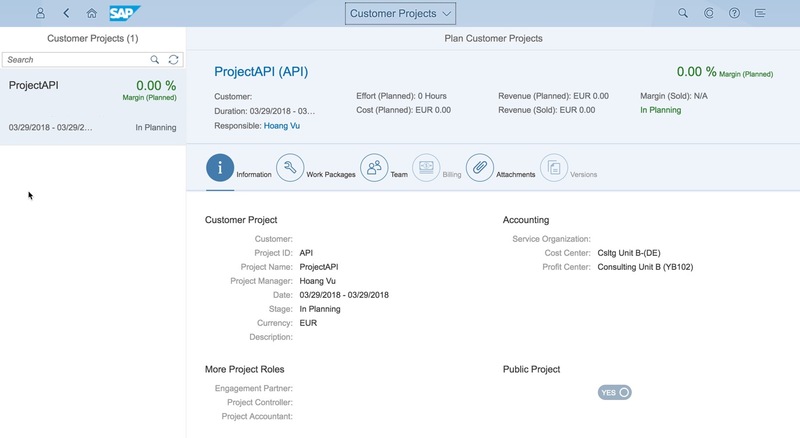 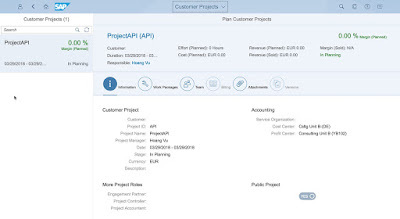 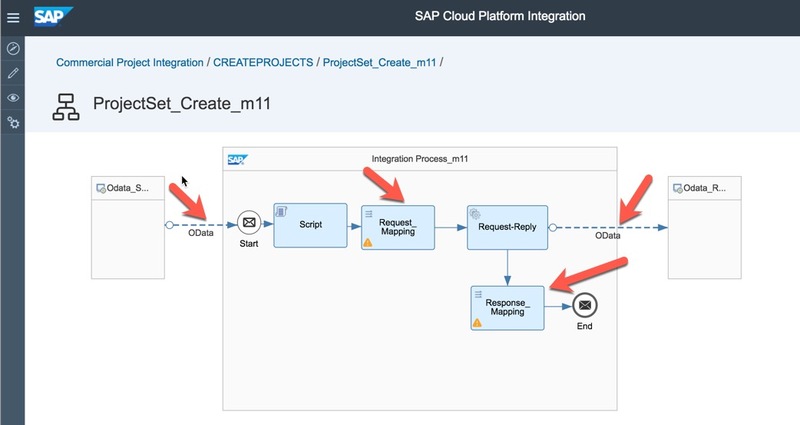 To do this you need to have activated the relevant APIs in S/4HANA Cloud (read part 1 for further information). 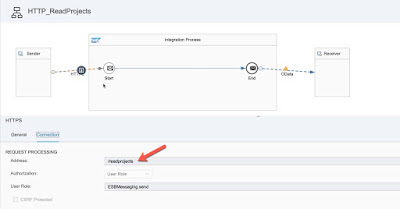 In this case we create an Integration Flow with both OData sender and receiver adapter. 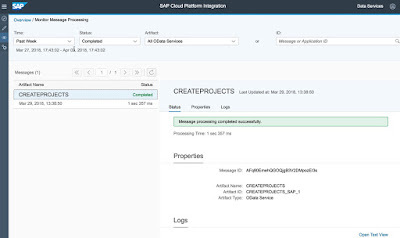 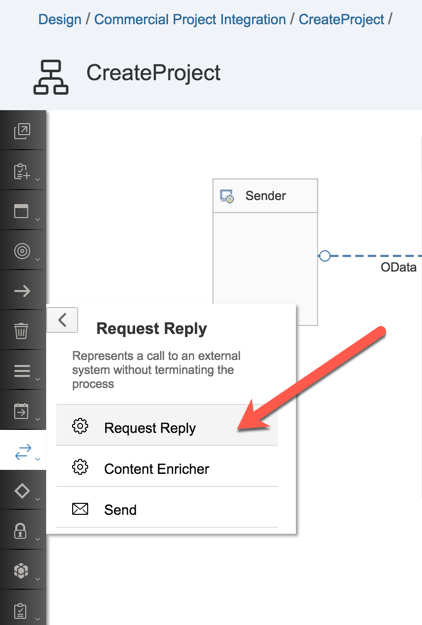 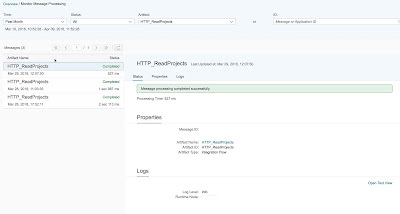 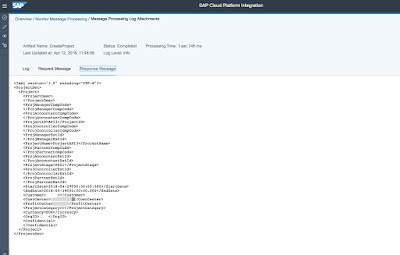 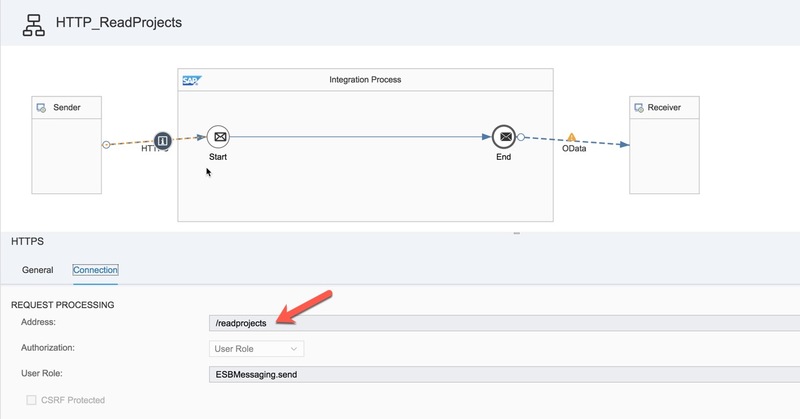 Then we will add a message mapping for the response message from S/4HANA Cloud. 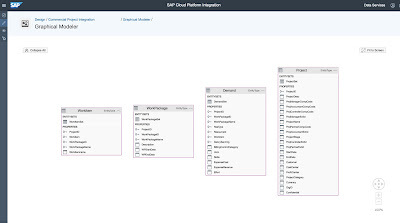 Here we do a 1-to-1 mapping of the entity set ProjectSet. 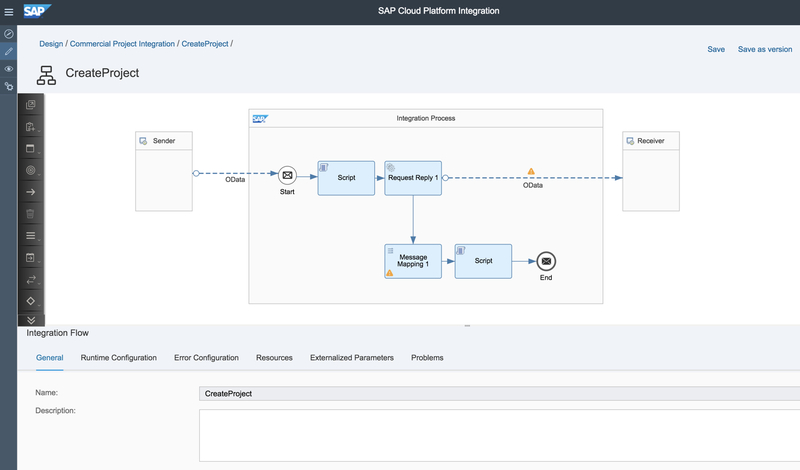 Now we can test this integration flow. 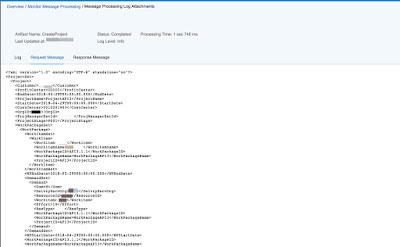 Below is the payload structure for posting. 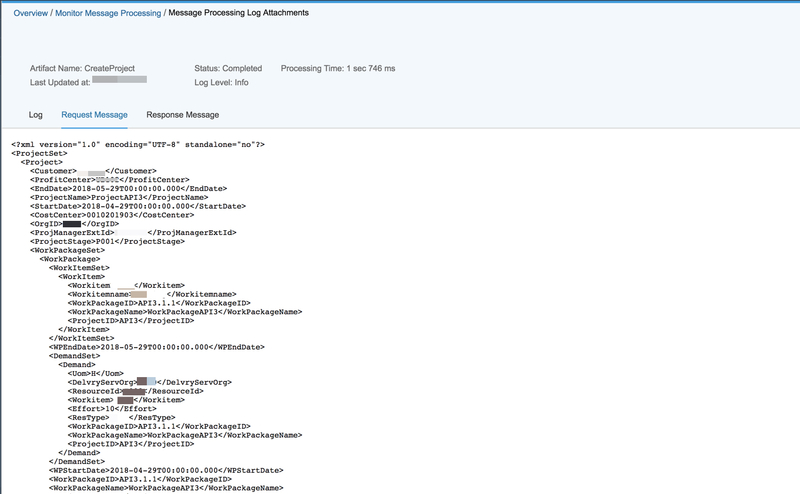 Please include your relevant data into this payload before posting. 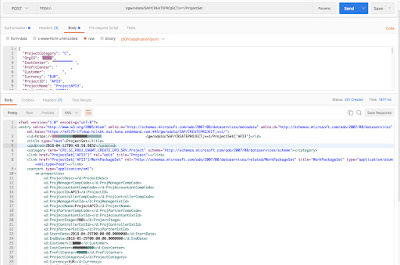 "DelvryServOrg": "your delivery service org"
Firstly we need to get the x-csrf-token, check part 1 of this blog series.